Hard to Live: (Quark) Soup's on! While the Large Hadron Collider at CERN continues to gear up (and show off), the US Department of Energy's Relativistic Heavy Ion Collider keeps on trucking. RHIC researchers are setting the stage for a February 15th, 2010 press conference to reveal "compelling" findings on a delightful substance known as quark soup. 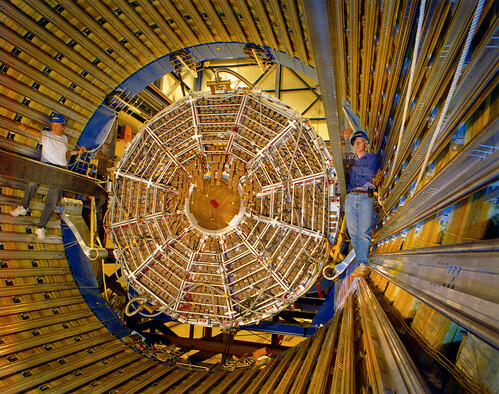 This bad mother collider, operated by the Brookhaven National Laboratory in New York, became operational in 2000 and generally scared the pants off of those in the public with just enough awareness to be dangerous. Thankfully, collisions at the RHIC did not create a miniature black hole that destroyed the Earth. 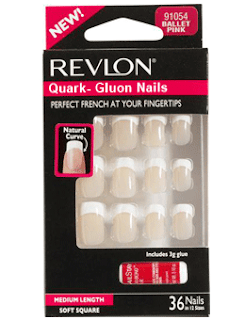 It did, however, create Hot Quark Soup, less casually known as quark-gluon plasma. Where this technology is certainly heading. QGP can be basically described as melted atoms. Throw a couple gold atoms into a sauce pan, turn up the heat to 150,000 times hotter than the center of the sun and you get quark soup. The substance has captivated Brookhaven researchers for a decade because of its potential to reveal more about the beginning of the universe. Some scientists theorize that the Big Bang created a metric assload of QGP that promptly went flying all over the place. Eventually, all those subatomic particles congealed into the atoms of the matter that makes up the universe we know and love and barely understand today. the human race is definitely learning something. The U.S. Department of Energy hailed Brookhaven's published findings as historic, although they brought up more questions than answers. Dr. Raymond Orbach, Director of the DOE's Office of Science even hinted at some connections between emerging Hot Quark Soup data and string theory. Now, five years later, Brookhaven researchers are holding another press conference to announce "compelling new findings about the nature of this 'perfect' liquid created in near-light-speed collisions of gold ions." The press releases are embargoed, naturally, so we'll just have to speculate for a few more days. Regardless, kudos to the "Little Collider that Could" for outlasting critics and making particle physics headway while the LHC struggles to get up and running.